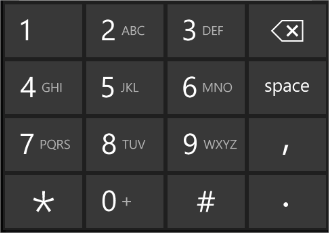 There is no â€œbuilt inâ€ numeric textbox in the current Silverlight for Windows phone. All my solutions are based on the same principle : we handle the keydown event of a textbox then we check the code of the pressed key. If the code matches a number, we let it do, in the other case we stop the process. This is not enough, because we can use the special characters (*, #, ., / and the space bar). If the array donâ€™t contains the code we stop to process the key. Thatâ€™s it for the first solution. If we donâ€™t want to repeat the operations of the first solution on every textbox in the project we can use a user control. In this user control we add a textbox and we repeat exactly the same operations than for the first solution. We still have a little additional work to do : add a property linked to the text of the textbox. So we can retrieve the result in our page. End of the second solution. do not forgot to call the base.OnKeyDown method, otherwise your back button will be inefficient. 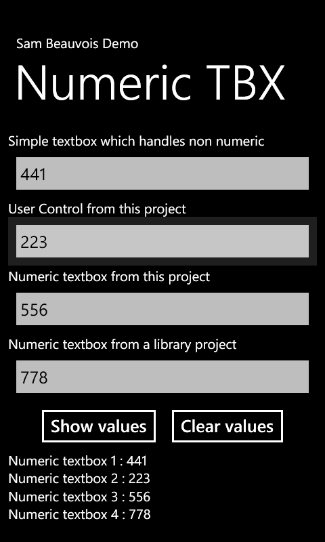 This solution is an improvement of the third : we add our control in a windows phone library so we can reuse it for another project ! Windows Phone 7Â is out and it’s great ! As a dotnet developper you have to be interested in how develop apps for that platform. 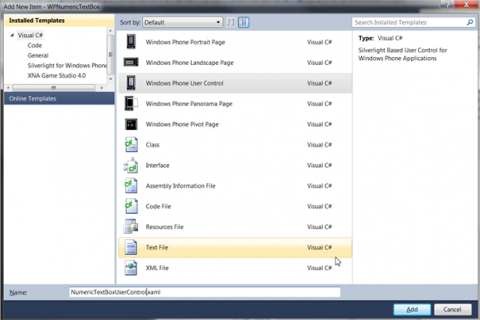 Besides you can develop for free, there are a bunch of tools that Microsoft offers you ! And here is a list of sources for informations. There is no more excuses to avoid wp7 !